On May 11, the Meeting of Innovation and Technology of Cerrado Mineiro Region happened at the EPAMIG Experimental Farm in Patrocinio. In the morning period we had a field day with four different technical stations about EPAMIG genetics improvement of coffee cultivars for Cerrado, new trends of mineral nutrition for coffee, management of coffee pests and management of coffee borer beetle. During the afternoon topics like sensorial analysis of EPAMIG cultivars, sustainable family farming, experiences of women in coffee were presented in three rooms and the main room had a panel about challenges in coffee production in a climate change environment. 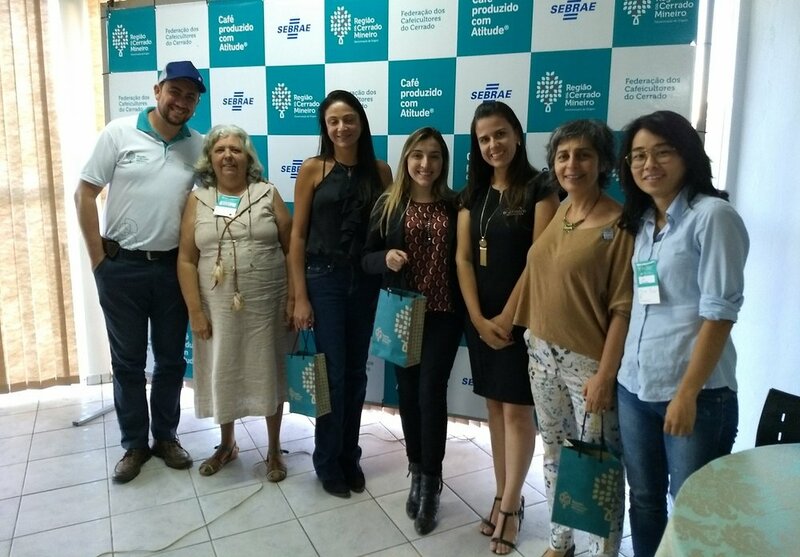 The room dedicated to woman in coffee had presentations of Miriam Monteiro, coffee producer, IWCA – International Women Coffee Alliance – vice-president, representative for Campo das Vertentes subchapter who talked about her farm's production of organic and agro-ecological coffees. Her lecture called the audience's attention that were curious about how to convert from conventional to organic production, crop management, productivity and market for organics. Afterwards, Carmem Lúcia Chaves de Brito, also known as Ucha, coffee producer from Três Pontas and president of BSCA – Brazilian Specialty Coffee Association –, has been producing specialty coffee for ten years. She did a captivating presentation about what she does at the farm to generate clients' enchantment and the results of long-term relationships. Also she spoke about the importance of management of farm operation processes and about how she keeps a motivated and well trained team that understand its role in producing a distinct coffee. At last, Maria Gabriela Baracat Sanchez, agronomist and coffee producer, spoke about a change in the farm's coffee production strategy. She emphasized the contribution of management tools and certifications in the farm business administration. In 2016, the farm started a new way of production aiming specialty coffees by making use of coffee quality mapping and post-harvest processing that lead the family's farm to reach the first place at the 2017's Cerrado Mineiro Coffee Awards in Naturals category. In all presentations we saw how the competence and strength of these women and the use of management tools impact in consistent results. It was a privilege watching their lectures. Also we had an important accomplishment for the women of Cerrado Mineiro Region. The Cerrado Coffee Growers Federation and the IWCA Brasil signed the letter of understanding represented by Miriam Monteiro, IWCA VP and Yuki Minami, representative for Cerrado Mineiro subchapter and Francisco Sérgio de Assis, federation's president. This strategic alliance sums up the IWCA's mission in three words: connect, empower and advance women in the coffee value chain. 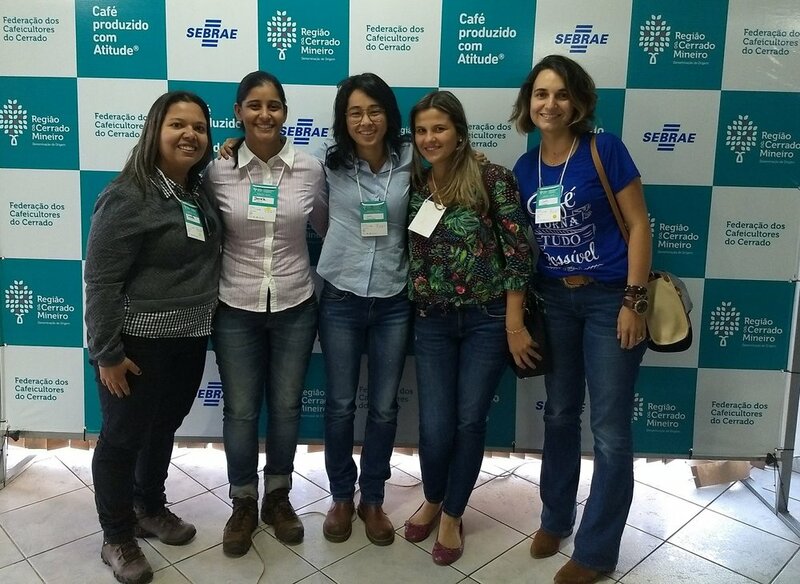 If you're not an IWCA member I invite you to be part of this global network of people and companies with the common goal of giving visibility to women across several segments in the coffee industry and now officially from Cerrado Mineiro as well. Older PostProject with Cerrado Mineiro Region and Casa Brasil Coffees to launch the first D.O. coffees in the U.S.